Rappler Sports's tweet - "BREAKING NEWS. 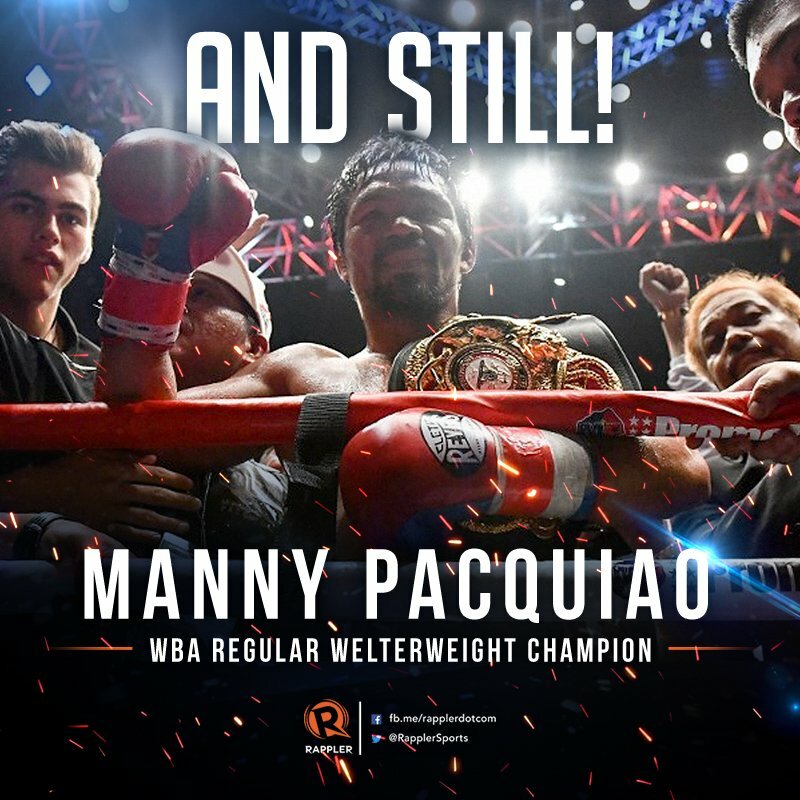 Filipino boxing legend Manny Pacquiao defeats American Adrien Broner via unanimous decision, and is still your WBA Regular Welterweight Champion! 🥊🥊 #PacBroner LIVE UPDATES: "